When we are young, we have a brain clarity and memory that is optimum. When what is commonly referred to as age related health issues arise, we often are led to believe that it is a “just the result of aging.” For many people, their body begins to feel the rigors of daily life in both their muscles and their joints. Despite these issues being attributed to the aging process, occasionally a young person, under the age of 35, will also exhibit what seems to be an aging issue. In most cases, we can attribute the cause of the physical deterioration as related to nutritional depletion. The brain is essential for every aspect of our physiology, cognitive experiences, emotions we feel, how we interact with others and the outside world, and our own sense of identity and social membership. When we experience any issues associated with aging of the brain, it is difficult to feel any sense of vitality and excitement about being in life. Like other parts of our body, our brains require optimal levels of nutrients in order to be optimally healthy. A healthy brain is a well nourished and stimulated brain, one that has the ability to heal and repair itself in order to deliver optimal output. 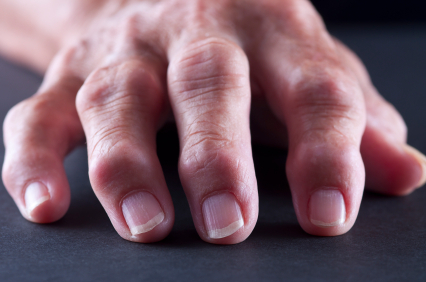 Why Do Our Joints Start to Ache and our skin wrinkle? Degenerative joint conditions are generally thought to be caused by the slow loss of the normal amount of collagen and/or hyaluronic acid. This loss begins early in life, and continues until our 30’s and 40’s. This is the same process that occurs in the skin, causing wrinkles. 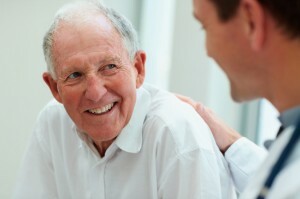 Various traumas that we have experienced throughtout life also can contribute to joint problems. These can be minor traumas from repetitive motion either at work or during athletic training, or falls, whether they are small or more severe. Severe trauma to a joint can occur at any age. This can cause “acute cartilaginous necrosis” and leave the sufferer with chronic discomfort, swelling and a limited range of motion where the affected joint is concerned. Our joints receive nourishment from what is called synovial fluid which comes from the synovium. Hyaluronic Acid is the lubricant and protective agent for our joints and allows them to function without degradation. In order for your joints, tendons, ligaments and connective tissue (fascia, which surrounds everything in the body including organs), to remain healthy, your body requires high levels of Collagen, Hyaluronic Acid and Chondroitan Sulfate. Nutritional depletion can occur under a number of circumstances, including exposure to toxins, personal and environmental stress, improper eating as well as improper food absorption. Many prescription drugs are also known to contribute to nutritional depletion, and without replenishment, nutritional deficiencies can then result, triggering a cascade of other health issues. Not everyone needs to look much older than they are to feel the effects of aging. At Fundamental Health Solutions, we can test for your biological age, which may be different than your calendar age. Using the Telomere Test by Spectracell Laboratories, the first commerically available test to determine cellular age, we can assess your biological age using structural analysis of chromosomal change in the telomere. This is important to determine if your body is aging faster than it should, so we can focus on nutritional replenishment and correction.